Sign at the Grande manifestation contre la haine et le racisme, Montreal, 2017. Photo: Solidarité sans frontière/Solidarity across border/Solidaridad sin frontera. Published in 2007, A Time To Speak Out: Independent Jewish Voices on Israel, Zionism and Jewish Identity, edited by Anne Karpf, Brian Klug, Jacqueline Rose, and Barbara Rosenbaum, collects essays on Zionism and Jewish identity written by members of Independent Jewish Voices in the wake of the organization's founding declaration — and in the context of the start of Israel's Gaza blockade. Below we present Jacqueline Rose's contribution to the book. There is one charge against Jews who criticize Israel that seems to me particularly misguided, and that is the charge that we are self-hating Jews. Whenever confronted with this challenge, I am always inclined to ask: "What kind of Jew do you want me to be?" For those of us who are parents, we only have to think of our relationship with our children to recognize how useless, not to say harmful to them, as well as rightly distrusted by them, we would become if, when we recognize that we have made a serious blunder that affects them deeply, we refused to criticize, and indeed sometimes to hate, ourselves. There cannot be a parent who, after a moment of anger with their child, has not, on reflection, realized that they were in fact the real target of their own rage. Self-hatred just might have been the better option. "The greatest evil that can befall a man," writes Rabbi Milton Steinberg in his 1945 A Partisan Guide to the Jewish Problem is "that he should come to think ill of himself" (he is citing Goethe). 1 His plea was urgent, written out of the ashes of the Holocaust and in the face of a rapidly assimilating American Jewry. And yet it still begs a host of questions. Is this the worst evil that can befall a man, or is it to be blind to the ill that he does to others? Not all criticism of Israel is labelled "self-hatred," but the slide from one to the other, when it comes, is rapid and deemed to be unanswerable. The idea of self-hatred is a strange one. Accuse someone of self-hatred, and the label sticks, the story ends, blocking the path to any further thought. Self-hatred is — in the words of Antony Lerman — the "killer fact." 2 This should make us suspicious. As if hating oneself could only ever be pathological, never transformative or justified; as if a healthy soul is one that can bear no negative affect, no throat-catching anxiety, about itself. Rather than accusing Jews who criticize Israel of self-hatred, we should therefore be asking ourselves what love — a love that is creative rather than self-deceiving and suffocating — can and should be able to tolerate. To demand only love is autocratic. At the very least such autocracy — the demand for one line only — goes against that spirit of Judaism that is endlessly open to the different meanings and interpretations invited by the Bible. "Many exegetes have tried to untangle the tale of the akeidah — the binding," writes David Zonshein on Abraham's willingness to sacrifice Isaac in the Rosh Hashanah edition of Haaretz of 13 September 2007. 3 He then proceeds to run a line from Abraham's willingness to "ratify with Isaac's blood his belief in the Creator" to the willingness of Israeli fathers today to send their sons to war. Could it be, he asks, that being "bound" to this story "makes us sacrifice our sons?" It is a provocative, political interpretation: Zonshein is a refusenik and chairman of the group Courage to Refuse. But in the course of his reading, he gives space to all the questions generated over time to challenge the story on its own ground: why did Abraham not offer himself instead of his son, and if God had sought Abraham's life, would he have killed himself? In the process, the akeidah hesitates, falters. Finally he concludes that only the sacrifice of the child would be sacrifice enough: "Trust God to know how to test a human being." 4 From within the Jewish tradition of interpretation, to which he pays tribute, Zonshein manages to give the story both the advantages of uncertainty and the benefit of the doubt. We need, therefore, to make some distinctions. I do not hate myself, or Jewishness, or Israel, when I criticize the policies of the state. I hate what the Israeli government is doing, and has been doing for a very long time, to the Palestinians and to itself. At the memorial for Rabin in November 2006, David Grossman mounted one of his strongest and most despairing criticisms of his government, at the same time as he described his love for Israel as "overwhelming," "unequivocal," and "complex." 5 Grossman's longstanding critique of government policy has never touched his profound commitment to his nation, or his own identity as a Zionist. Is Grossman a self-hating Jew? Zonshein declares his refusal in the name of the "Zionist values and the values of the army in which I had been educated': "We decided to refuse after we saw how much the occupation and the punishment of the whole civilian population harms security and does not serve it." 6 And he refuses as one who has come to recognize his own part in the reality he deplores. After more than a decade in the army, he has been an "active partner in harming the security of the state." Zonshein may well have come to hate what he has done, but he refuses out of love of Israel. His fear, shared by many contemporary critics of Israel inside and outside the country, is that Israel's own conduct is playing a key part in rendering its future precarious. In being unjust towards the Palestinians, his country is sabotaging itself. Israel does live in a hostile world. But it is not to deny the outside threats to say that a nation's policies are threatening it from within. Arendt's concern is that her people are becoming actors in a new drama, in which they will come to embody the chauvinism, and violence, of the nation-state. Behind the charge of self-hatred — of which Arendt was of course also accused — lies a dangerous idealization that robs us of accountability. In his 2006 book Shivat ha'chata'im: reshima chelkit (The Seven Sins: A Partial List), Israeli philosopher Aviad Kleinberg adds the eighth sin of self-righteousness, and gives as his example Meir's famous claim that she would never forgive the Palestinians for what they were making her do to them. 15 For Meir, to believe in the Jewish people entailed a militant refusal to countenance any self-questioning on their behalf. Thus Israel may come to forgive the Arabs for killing its sons, but it will be much harder to forgive them for having forced Israel to kill theirs. "You made me do it." Is this a cry that any of us, in our daily lives, would ever trust? More than sixty years after her exchange with Arendt, Meir's claim remains. If anything, in the more recent exchanges about self-hatred, it has intensified. The Jewish Divide over Israel: Accusers and Defenders is a collection of essays that attempts to discredit recent critics of Israel including, among others, philosopher Judith Butler, historian of Jewish studies Daniel Boyarin and Jewish theologian Marc Ellis. In their introduction, editors Edward Alexander and Paul Bogdanor accuse all such critics of casting "Israel itself as the aggressor, pretending that it was the 'occupation' that led to Arab hatred and violence and not Arab hatred and violence that led to occupation." 16 Note "pretending," which, lacking the ambiguity of its French equivalent, "to claim" or "make out," simply means to make a false claim or dissimulate. It is a delusion — "delusion" is a word that recurs in these debates — to consider for a moment that Israel might bear some agency in the tragic and ongoing conflict in the Middle East. Thus the charge of self-hatred becomes the expression of a political judgement. Present-day critics of Israel are seen as belonging to a long line of self-haters who are blind to the implications of their own thought, and who, whether consciously or unconsciously, are willing the destruction of the Jewish people. "Terrible self-hate engulfs us," Sharon wrote at the time of the Oslo agreement: "the terrorist organisation's flag is unfurled in Tel Aviv's Malchei Yisrael Square." 17 Kenneth Levin, author of The Oslo Syndrome: Delusions of a People Under Siege, argues that Jewish self-hatred arises from "delusions of propitiation," the mistaken conviction that anything can be gained from accommodating a hostile world. For Levin, the mistake of Oslo — hence the Oslo "syndrome" — was to concede land for peace in the hope of a viable future: "whereas the outcome, like the Israeli quest for peace, will typically be determined by forces outside the control of the embattled minority and its members." 18 Thus Israel is robbed of any control over its own destiny. And yet, whatever one's political affiliations, or indeed one's reading of the Middle East conflict, one might fairly ask whether this is ever the best way for any people or nation to view itself. Traditionally self-hatred meant the internalization by the Jew of the most abject of stereotypes. Foolishly, such Jews thought that fawning accommodation would endear them to the enemy. It is a vicious cycle because, when the truth dawns that there will be no such acceptance, the self-hating Jew is driven to new depths of self-hatred and despair. Behind the concept of self-hatred lies the belief that nothing the Jew does will ever make any difference, a truth that the self-hating Jew is unable to face. The creation of Israel was, however, in its own terms, surely that very difference. The national self-determination of the Jewish people would give them new power, new status, new self-respect. To argue that Israel is still at the mercy of its enemies — which ignores, among other things, Israel's exceptional military strength — is therefore to rejoin the very stereotype that the creation of Israel was meant to leave behind for ever. In this context, the charge of self-hatred against Israel's critics could be seen as an example of itself. Israel is now the fourth most powerful military nation in the world, as well as — by the recent admission of its own prime minister — a nuclear power. (Olmert in fact acknowledged this reality and then retracted his acknowledgement.) Critics of Israel do not ignore the hostility facing the country, nor the attacks on its people, but it is worth noting that those who accuse them of being blind to the vulnerability of the nation tend to speak of Israel as if it were not the party to the conflict wielding overwhelming, asymmetrical, force. We need, therefore, to ask how a concept, spawned at the heart of antisemitic Europe, honed in post-war America when Israel was still a dream, made its way into the lexicon of the ongoing Middle East conflict. When Kurt Lewin wrote his influential 1941 essay, "Self-Hatred among Jews" — the first substantial English treatment of the subject — he was writing in the middle of the Second World War, having himself fled Nazi Germany in 1933. The idea of an "interdependence of fate" uniting the Jewish people had a unique resonance at a moment when it was by no means delusional to speculate on a Nazi victory in the war: "In case Hitler should win the war, this special interdependence of fate will become the most important determining factor in the life of every single Jew." It will still be one of the "dominant factors for the lives of our children" should Hitler lose. 19 Like Steinberg, therefore, Lewin was calling on self-love as a means of survival. He was issuing a plea for Jews to affirm their identity in the face of its threatened demise. Today a rise in antisemitism requires the vigilance of all Jews (and non-Jews). But do we honour the horror of that original context by simply transposing the definition from then to now? "We are one people — our enemies have made us so": the worst moment in Jewish history gave to Herzl's famous dictum a new authority. The persistence of fear is one of the awful legacies of that moment. But is it in the interests of the Jewish people to perpetuate the conviction that one's identity as a Jew is reliant on those who would destroy it completely? Stone could have appealed to these earlier writers on self-hatred for whom the charge carried no such tie to an obligatory ethnicity and nationhood. Thus, while recognizing the national aspirations of the Jews in Palestine, Steinberg insists rather on the term "peoplehood" for the Jews, "a fellowship of tradition and destiny," a "broad reality" to which "sovereignty and allegiance are not essential." 24 Jews may be a minority nationality in Central and Eastern Europe, an emerging nation in Palestine, and a religio-culture group in western democratic lands, without any threat to their Jewishness: "it is in the nature of a people to be protean." 25 Today, the charge of self-hatred almost invariably implies a failure of national identity. 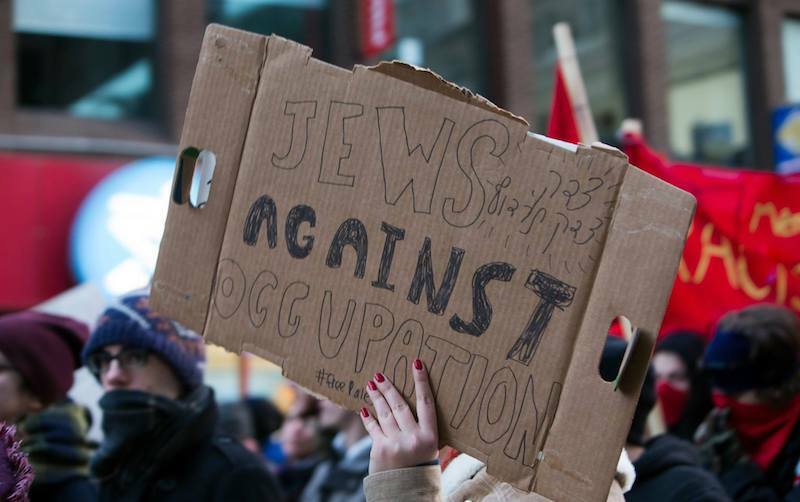 We need to ask, therefore, when someone is accused of self-hatred, what aspects of Jewish identity — universalism, a respect for the different ways of being Jewish — are being refused, what narrowing of the Jewish horizon is at play. To say this, as should not need stating, is not to question the impact and importance of Israel in the life of most Jews, inside or outside the country, but it is to insist that the possibilities of Jewishness are not solely defined, nor exhausted, by the nation-state. It is worth noting just how dramatic a change is involved here. In 1958 Brian Glanville's famous novel The Bankrupts, a powerful indictment of post-war middle-class British Jewry, was met with such hostility on publication that he abandoned any further Jewish topics in his writing. Glanville's portrait was odious. A narrow-minded elder generation, for whom Jewishness had been reduced to empty ritual without ethics, was destroying their children's future. And yet it is a Zionist novel, since the daughter they fail to stifle, Rosemary, chooses at the end of the story, together with her unborn baby, to emigrate to Palestine, when her lover Bernard, who has gone before her to live on a kibbutz, is killed in an Arab raid. Rosemary's story is that of a slow, dawning recognition that her future is with her people in Palestine, a people to which, unlike her lover, she has, before his death, only felt the most precarious allegiance. Israel bored her. "You are wrong," Bernard comments. "It matters very much." "Do you want to live in Israel?" she asked. Her voice was hostile. But that Glanville should narrate one of the master narratives of Zionism — Arab violence creates the true Jew — was not enough to save him from the most devastating critique. In 1958, ten years after the creation of Israel, the link between the charge of self-hatred and the new nation was still precarious. Fealty to the Jewish national project in Palestine was no protection. Jewish self-hatred meant, not a refusal of Jewish nationalism, but exactly what it says: hating oneself as a Jew. At its launch in February 2007, Independent Jewish Voices was greeted perhaps predictably with the charge of self-hatred, culminating in Melanie Phillips's accusation that those of us who signed its declaration were "Jews for genocide," belonging to the "lamentable tradition" of Jews who "want to destroy the Jewish people." 27 There was a time when Jewish self-hatred carried no such implication, meaning rather a disappearance from Jewish identity, an individual recoiling from the fact of being Jewish, whose givenness for Hannah Arendt was cause for gratitude. It was central to the founding declaration of Independent Jewish Voices that we spoke in the name of a Jewish ethic: "We hereby reclaim the tradition of Jewish support for universal freedoms, human rights and social justice." Far from rejecting, or indeed hating, our Jewish heritage, love of that Jewishness was, and is, the point. We believe that the oppression of the Palestinian people runs counter to a Jewish legacy of which we are proud. In her tribute to Judah Magnes who died in 1948, Arendt wrote: "A people that for two thousand years had made justice the cornerstone of its spiritual and communal existence has become emphatically hostile to all arguments of such a nature, as though they were necessarily the arguments of failure." 28 Justice of course belongs to no one people or creed. It is a paradox, but one which I believe has to be embraced if there is ever to be a solution to the conflict, that Israel will only re-enter the heart of the Jewish tradition if it espouses that part of Jewishness open to all the peoples of the world. 1. Milton Steinberg, A Partisan Guide to the Jewish Problem (Indianapolis, IN: Bobbs-Merrill, 1945), p. 115. 2. Antony Lerman, "Jewish Self-Hatred: Myth or Reality?," Jewish Quarterly, Summer 2008. 3. David Zonshein, "Bound for Glory," Haaretz, 13 September 2007. 5. "David Grossman's Speech at the Rabin Memorial" [4 November 2006], trans. from the Hebrew by Orr Scharf, Haaretz, 5 November 2006. 6. Zonshein, "Bound for Glory." 7. Michael Lerner, "There Is No New Anti-Semitism," Baltimore Chronicle, 2 February 2007. 8. Letter from Gershom Scholem to Hannah Arendt, 23 June 1963, in Hannah Arendt, The Jew as Pariah: Jewish Identity and Politics in the Modern Age, ed. Ron H. Feldman (New York: Grove Press, 1978), p. 242. 9. Letter from Arendt to Scholem, 24 July 1963, in ibid., p. 246. 10. Scholem to Arendt, 23 June 1963, p. 242. 11. Arendt to Scholem, 24 July 1963, p. 246. 12. Hannah Arendt, "'What Remains? The Language Remains': A Conversation with Günter Gaus," in Peter Baehr (ed. ), The Portable Hannah Arendt (New York: Penguin, 2000), p. 16. 13. Arendt to Scholem, 24 July 1963, p. 247. 15. Interview with Aviad Kleinberg by Nir Baram, "In the Whirlpool of Guilt and Morality," Haaretz, 14 February 2007. 16. Edward Alexander and Paul Bogdanor (eds), The Jewish Divide over Israel: Accusers and Defenders (New Brunswick, NJ: Transaction Publishers, 2006), p. xi. 17. Ariel Sharon, "A Reality that Speaks for Itself," Jerusalem Post, 11 March 1994, quoted in W. M. L. Finlay, "Pathologizing Dissent: Identity Politics, Zionism and the Self-Hating Jew," British Journal of Social Psychology, vol. 44, June 2005, p. 215. 18. Kenneth Levin, The Oslo Syndrome: Delusions of a People under Seige (Hanover, NH: Smith and Kraus, 2005), pp. 3–4. 19. Kurt Lewin, "Self-Hatred among Jews" , in Kurt Lewin, Resolving Social Conflicts; and, Field Theory in Social Science (Washington, D.C.: American Psychological Association, 1997). 20. Ibid., p. 141 (my emphasis). 22. I. F. Stone, "Confessions of a Jewish Dissident," New York Review of Books, 9 March 1978. 24. Steinberg, A Partisan Guide to the Jewish Problem, p. 151. 26. Brian Glanville, The Bankrupts (London: Secker and Warburg, 1958), pp. 76–8. 27. Melanie Phillips, "Jews for Genocide," 8 February 2007, available http://www.melaniephillips.com/diary/?p=1458 (accessed 29 February 2008). 28. Hannah Arendt, "Magnes, The Conscience of the Jewish People" , in Hannah Arendt, The Jewish Writings ed. Jerome Kohn and Ron H. Feldman (New York: Schocken, 2007), p. 451.